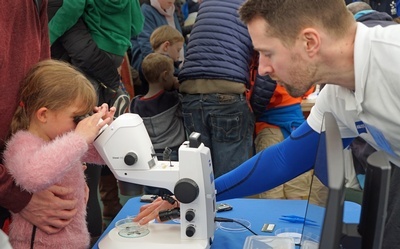 We are holding an exciting Science, Technology, Engineering and Mathematics (STEM) festival in Weston-super-Mare next April. 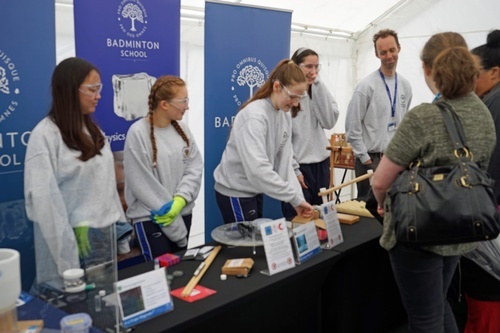 As a result of the success of our last festival, new exhibitors are engaging with us to put on our formula of interactive, hands-on exciting displays for our visitors from schools and from the public. Over 3000 people visited last time. We are inviting small and medium sized STEM based companies to put on displays at the festival, particularly our fellow members of the Chamber. There is a small fee required to cover the rental we pay for the use of the site. 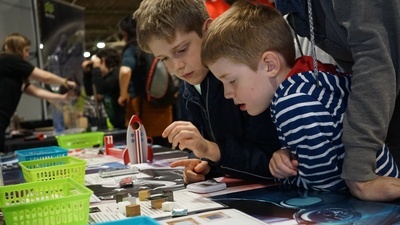 We are science graduates who have a mission to help schools and teachers to expose children to the exciting possibilities of careers in STEM based industries and institutions, particularly important in areas where many schools lack qualified science teachers. Our steering committee has members from primary and secondary schools, college staff, high ranking industrialists, educational television producers and college and local authority officers. If you are interested in putting on an interactive display, or discuss possibilities, please contact us. The organising company is Western Science Events CIC.